Olga Medvedeva completed her violin studies in Russia, receiving Diploma as an Orchestra Soloist and a Teacher. Upon graduation she worked at the Music College as an assistant in a chamber music class. A year later she accepted the position in the National Symphony of Mexico. She was a faculty member of Institute of Belles Artes in Veracruz, Mexico, and Coordinator of the string section of the Youth Symphony. She formed a young children’s orchestra, and a violin ensemble while continuing performing as a Concertmaster with the Veracruz Symphony Orchestra. After moving to Canada, Olga played with the Thunder Bay Symphony Orchestra and worked at the Lakehead University School of Music. 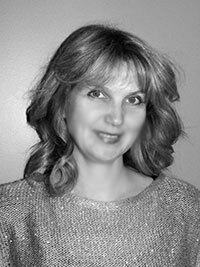 Olga is an Executive Board Member of the Lakehead Festival of Music and the Arts, a member of the Registered Music Teachers of Ontario (ORMTA) and the National Teacher Association of Canada. She maintains a busy private studio schedule. She takes pride in her student’s achievements such as winning prizes at Music Festivals, Provincial Ontario Competitions, and a Silver Medal from the Royal Conservatory of Music (RCM) for highest mark in the Province, as well as numerous Scholarships. Many of her students continue their music education in Canada, United States and Europe. Olga was nominated for the Arts and Heritage Award for her dedication, and achievement with her students.